So as one of the most popular and well rated guides on this website, I was thinking about updating it for season 4. 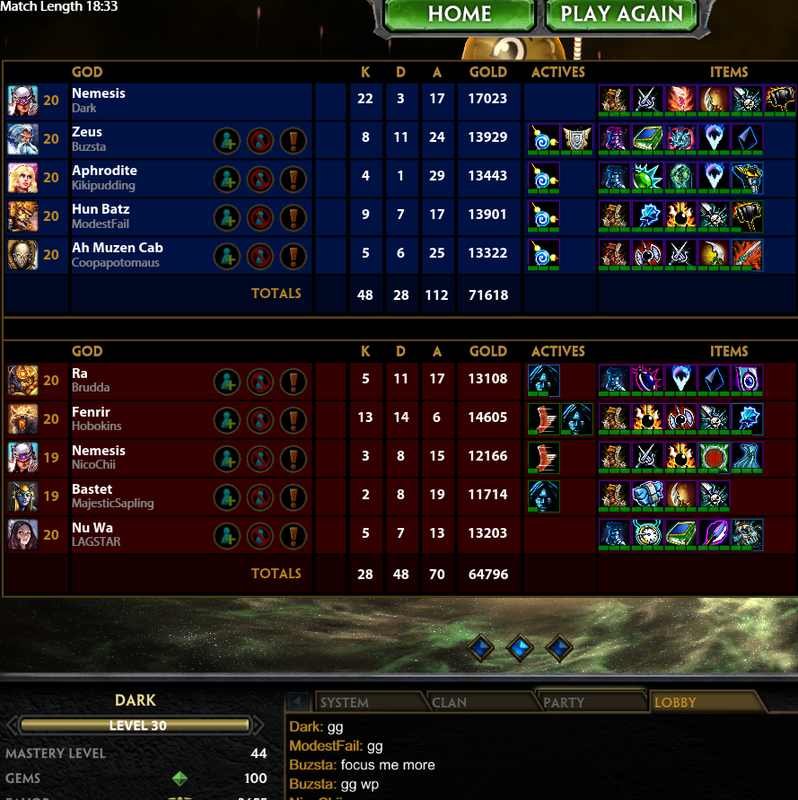 I pretty much didn't play smite at all for season 3, but I'm slowly getting back into it. Would you guys be interested in an updated season 4 Nemesis guide? The Goddess of Vengeance, Nemesis herself, has entered the battlefield! She is blind, wielding a big *** sword, and half naked. What could possibly go wrong? *Goes 2-16* Well that I suppose... But no really. This chick is very powerful right now and can easily be built as an assassin or warrior, depending on your playstyle and match needs. I have played her 100+ times and tested a few builds. Im going to go into her skills, item purchases, and basic first impressions of her combat and strategies I, myself, have begun using and having success with. I will be sure to update this guide as I continue to test her and gain more knowledge in her strength and weaknesses. 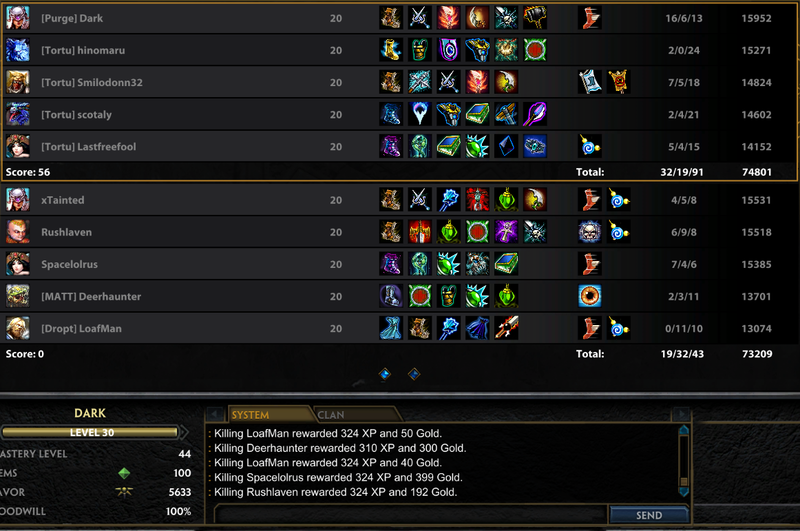 I always start a new god in arena and 3v3 to try and get the best feel for basic laning and teamfight combat. I will be adding an in-depth conquest guide in the coming days as well, but for now, Id like to spread how I have had the most success and hopefully help others do just as well. The Conquest guide is in the works though and should be done soon. How I achieve My Vengeance! Boots are the standard start to every build in most cases. Here is no difference. I am going to be wanting penetration boots so I can hit just that much harder. With my assassin build, I am going to want to be doing as much damage as quickly as possible, and penetration will help me much more then CDR will. Now whether you prefer Sais or Blades, I dont care, Sais WILL do more damage more often then blades. So I prefer them. As for getting them second? Qin's gives a good bit of damage and more attack speed then any other damage item there is. The only ones with more attack speed, dont actually give you more power. This is a standard choice in many assassin builds, and with good reason. This item alone will make your DPS fly. You now hit 25% faster, harder, and with constant proc's of extra damage. Who could hate it? Now Qin's used to have life steal, but it no longer is THAT Op. So now we need lifesteal, but which will give us the most bang for our buck? Well Asi is one of the cheapest items in the game, and while it doesnt give you any raw power, it does give you a massive 30% attack speed boost and another +15 penetration. The passive also sync's very well with Nemesis and her counter-burst. While it may sometimes be hard to time, if your HP goes below 35%, pop your shield. You are now healing off any damage received AND you now have 40% lifesteal instead of 15%. I have literally full healed in a fight with this combo. This is just the icing on the cake. Now up til here, we have only had flat penetration. And as such, I would suggest focusing on squishys first. That is were flat pen will do the most damage. With Titan's Bane, that all changes. Swing at ANYONE and I promise, it will hurt. Tanks will be melted as fast as anyone else once you finish this up. You WILL MELT PEOPLE! So here is my opinion on Malice. It is good, but only once you have guaranteed crit's to rake in. It doesnt give you attack speed or very heavy crit% like it used to and its passive only proc's on crits. Because of that, I would now suggest Rage always over Malice early and getting Malice as a sub for Titan's Bane. Now a few things to keep in mind here; you are giving up solid pen at a time when tanks will be at their tankiest. You are also gaining a lot of power and even more crit. This item is now a slightly different Deathbringer. Because of that, I would suggest this item against heavy squishy teams or if you dont plan on focusing the tank often. Your ulti can and will make up for the loss of Titan's Bane for those every once in a while encounters. Overall, it is a very nice item but to be used carefully. NOTE: Jotunn's Wrath - I have seen a lot of damage Nemesis getting this item. While I will admit, it is powerful, in my opinion it hampers the final goal of Assassin Nemesis. To do as much damage as quickly as possible and get the hell out of there. CDR is helpful for prolonged battles and you are far too squishy to stay in a fight for more then 5 or 10 seconds. With my build, enemies will die in less then 5 seconds. You can simply get out of battle and wait for your CD's to finish. You ARE NOT meant for prolonged battle. So Beads is a pretty obvious choice. Nemesis is not gifted with any CC immune abilities and since EVERY GOD IN THE GAME has CC, this should be an obvious choice. If you havent practiced using this item, it is time to start. After more practice with her, I have come to love Sprint on Nemesis. It simply makes you impossible to target or catch, and only has a 60 second cooldown, and is extremely cheap. I will many times grab rank 1 of this and be done with it till late game. By using Divine Judgement on someone, then Sprinting, you will be faster even then Chronos or Mercury. You will be such a pain in the *** to target and they will yell in frustration as you melt them away. Having such a low cooldown, it is also very helpful as an escape or chase. Popping Beads, Double-dashing away, then sprinting and you are safe as can be. Guy just out of range? Sprint just close enough, slow that fool, and continue your destruction. It is just amazing on her. Previous Suggestion (Still suggested for Bruiser Build): As for Blink? It may be a bit odd, but with Nemesis and her double dash, she can cover massive amounts of ground with this, and no one will be safe from you. I especially love this for tower diving that 5-10% HP target that is recalling right in front of you. Blink in, kill them, shield, double-dash out. It is a practiced item, and if you dont feel comfortable with it, I might suggest Sprint instead. It is cheaper and will allow you to fly around the fight, making yourself an extremely difficult target to hit. So as a bruiser, I am more about getting in someones face and staying there. I want to spam as much as possible, since I have a 50% slow with a 13 second cooldown, and generally help my Tank cause chaos in the front field, while still doing a good bit of damage.. Ninja is the start. Since damage isnt as high a priority and spamming is, CDR all the way. This item is a given. The thought behind this is basically the same as Ninja Tabi. I want to maximize CDR and get an honestly crazy amount of physical protection. With this, my 710 second cooldown slow will now be at 6-7 seconds. That is ANNOYING. People will get slowed. And they will STAY slowed. The amount of frustration you can cause with max CDR is ridiculous on Nemesis. And the extra mana is very helpful too, allowing you to stay longer before having to recall. Now I want to balance some magic defense into my build, but not at the full blown expense of my damage. Shield is were we start. A very decent 60 magic protections, up'd to 90 with the passive, this is very nice, with the addition of some physical power. Mages wont be able to burst me down anymore and my spam of abilities is really starting to hurt. The reasoning behind this item is very much the same as Shield. I want to get tankier, but not at the expense of damage. With another very decent boost in physical defense, as well as even more physical power then shield, this is the way to go. Did I mention it even gives you some penetration? Void Shield is a MUST HAVE for any bruiser. And if I wasnt aiming to max CDR as soon as possible, you can believe Id have gotten this second. This is one of the best magic defense items in the game. The price isnt too bad, and it also gives a very nice boost in HP. If you want magic defense, this is the tried and true item to get. Not much more to go in to there. The thought behind this is similar to the Assassins build, with some slight differences. The main reason I choose this is because it is basically the cheapest way to up your damage. As the bruiser, you probably wont have top kills or top farm. This is one of the cheapest physical power items you can get and will basically neutralize any squishys defense and take a chunk out of everyone else. The best thing about that is your ulti will now do very close to an actual 50% hp hit. It helps. A LOT!!! My reasons for my actives are basically exactly the same as my assassin build. Even more so on bruiser, because I want to stick to my opponents as much as possible. Not much more then that. I also continue to suggest Blink on Bruiser because it allows you to initiate with a lot more surprise and speed while still keeping Dash as a possible escape. With the assassin build, your damage will be insane. Get it, slow them down, hack em to bits, get out. With the bruiser build, you will be able to get in their face and stay there. With upwards of 200 protections a piece and 2600 HP, as well as still a good bit of damage and a 50% slow that is up every 4 seconds, you will be the most annoying guy on the field. So my thoughts behind this item? I have played Nemesis Support a few times and I gotta say... I love getting this after Midas Boots. Ill probably go more into that when I add a support section to the Conquest chapter I plan adding, but the movement speed and general debuff of the enemy ADC is enormous. 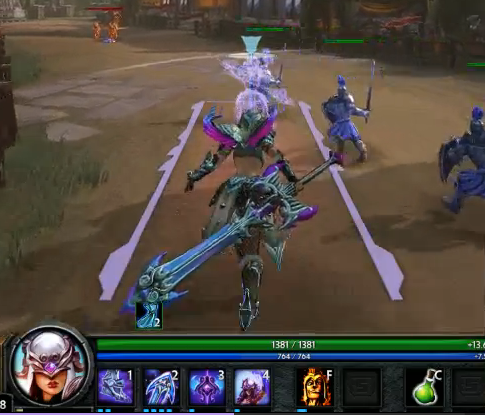 Not a common support item, but Nemesis support is a lot like Guan Yu and Sun Wukong. Support through constant pressure, and this item helps you do that so much better. Now this is a very solid stats item. While it wont give you a nice passive, like shield or bulwark, it will give you very solid stats once the stacks are built. Bringing in a more then solid +65 protections each, this item can be more then enough for getting tanky and you might be able to focus on more damage after. My only suggestion? If you pick this up, GET IT EARLY! You want these stacks maxed out ASAP and its usefulness is halved without them. The usefulness behind this item should be pretty straight forward. If you feel comfortable enough to lose some tankyness and gain some decent damage in the process, this is a solid replacement for Breastplate of Valor. Just be warned: you will take much longer to get tankier by getting this instead and you will need to play much more careful until then. For that reason, I prefer BoV, but it is up to you. If you can stand to be a tad bit more passive for a bit, your later damage will be much nicer. I might go right into VoidBlade after this, then Shield after, since you no longer need to balance your defense. This is for the damage bruiser. This item IS THE anti-CC item of the game. If you are having trouble with an Arachne pulling you or an Anubis stunning you or any other very potent hard CC, then pick this up. Even when the passive is down, it gives a nasty 40% CC reduction. Be warned: This item DOES NOT have very good defense stats. It is simply a counter-CC. If CC isnt a problem, Hide is better in all ways. If your not into the ability spam bruiser style that I like, but still want to stay all in their face, this item might be a great choice. The constant AoE damage and very decent Phys Protection stats make this a great early item replacement for Breastplate if you just wanna stay in the ****. You wont be getting CDR though, so again, this is forplayers less worried about ability spam. This is a great support item and more for the "cover my team" bruisers out there. If you want to be constantly protecting your team from harm, get this guy. It gives an aura boost that ups the physical defense of any ally around you. Very helpful for that annoying Loki sneaking around or dashing Mercury. But again, it is a support item. If your in the main fight and not around your squishys all the time, there are better choices. This is a pretty good item if you are looking for a bit more sustain and damage in your build. I might suggest sacrificing VoidBlade for this guy. Your ability damage will stay pretty high and it syncs well with your passive, making you even stronger as you weaken your foes. This is a good pick-up if you are an ability spammer. I personally wouldnt suggest this over Asi in my Assassin build, as it has no attack speed. Her passive isnt too complicated. Every swing of your basic attack, the enemy loses 3% power and you gain 3% power. The main thing to note is it is stealing power. They lose 3% of THEIR power and you gain 3% of THEIR power. Now seeing as Magical gods get a lot more power overall, you only steal 1.5% of their power. This is still a good chunk when they begin to reach the 500+ area, as you will be gaining 25-30 power for free and cutting their power by 50-60. This passive is very helpful to either build. As an assassin, you do a lot of 1v1 fights. That makes this usefulness pretty obvious. They hit softer, you hit harder. As a bruiser, I try to jump to more opponents. Spread the weakening aspect of it as much as possible. Either way, I wouldnt underestimate this passive. It can REALLY REALLLLY hurt. So this ability is amazing. It is a double-dash. Thats right, not just 1 dash, but 2. The utility this skill gives you is brutal. You can finish someone with it and quickly retreat. You can gain massive ground with a blink then double dash, catching almost anyone. You can run further away then anyone else in almost just as fast. It is truly beautiful. Now the biggest thing to note here is this IS a dash. This means that walls like Odin's Rings, Ymir's Wall, or Thor's Stun can not be jumped over. However, with the latter two, you can dash around it very quickly. Bring up the targeter and make sure you can dash to just past the edge of the wall, dash, then quickly turn the camera away from them, and dash again. Also, it has a bit of a longer cooldown then most movement abilities, standing at a solid 14 seconds. Not very short at all, though if you went with my bruiser build, it is dropped to about 8-9 seconds and can be spammed much more often. On the flip assassin build, this thing hits twice, making it 50% scaling if you can land both. Overall, I can't praise this ability enough with just how much extra utility it gives you by making it a double. Learn to use it properly, and this will be a godsend. Now this one... This freakin ability right here... WTF! This guy has a dirty 30% slow that levels to 50% and can hit like a brick. It is split into 3 zones, with the middle zone applying the slow and hitting twice as hard as the outer zones. All together, all 3 zones are almost a solid 180* circle, making it massive in size. Oh... And did I mention it is on a 10 second cooldown? Again I say... WTF!1! Ok so now its a 13 second cooldown... But it still rocks!!! There really isnt anything bad about this ability besides the fact that it is just a tad short. If the range were a tad longer, you could clear waves instantly. But as is, you can only reach archers from minions if they have moved up just a tad bit. That said, I usually go just to the side and hit the archers with my middle zone and the melee's with the outer zone. Either way, if you build my bruiser build, enemy's will HATE you. You will be swinging this bad boy every 5-6 seconds and people will have an almost permanent 50% slow. This IS one of the most annoying moves in the game to face. On the assassin side of things, the middle zone has double the base and scaling. Unfortunately, they already halved the scaling, which is gonna hurt, but it should still hit really hard with the base damage alone. LOVE THIS MOVE! HAVE BABY"S WITH IT! Now this is an ability that requires a bit more skill to use. It can be a crazy powerful move in the right hands. 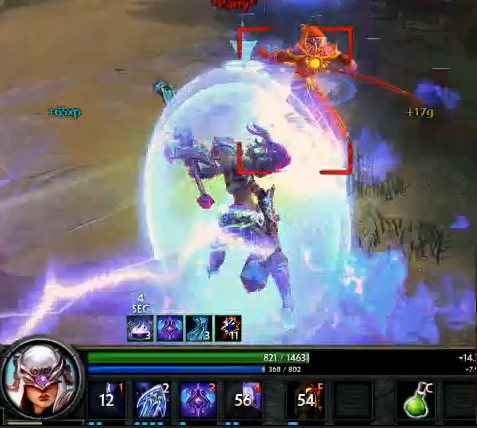 For 1 second, you are immune to all damage and reflect back a % of that damage, while healing the same % reflected. A small note is that the damage reflected is a bit tricky. You reflect the full damage back at them, but then their protections reduce their own damage sent at them by your shield. This basically means if his ultimate was supposed to do 1000 damage before your protections, it will sent 1000 damage back but then his protections reduce said damage. Only the enemy's. You will, however, heal a full 1000 hp. Your own protections dont reduce the heal. Your protections dont mean a single thing when this ability is active. It also reflects the same type of damage back, be it physical or magical. The major note here is that hard CC renders this shield useless. Now the damage hits first, so as with the Ao Kuang example, you still reflect and heal, but then the knockup still sends you flying. That being said... See an Anubis about to mummy you? Dont use this. You see a Ymir about to freeze you? DONT USE THIS! Be aware of who has hard CC and prepare accordingly. NOTE: Popping Purification Beads essentially void's the hard CC weakness of the shield, making you fully immune to everything for that second. Yet another reason why I suggest it. Now the glorious ultimate. This is not the shiniest of ultimates, but it still packs a solid punch. This basically hits them for a % of their HP, slows them, speeds you up, and steals their protections. The %'s all max at 50%. Now a few notes. This move does indeed STEAL protections. So using this on a tank is most effective in that respect. If they lose 100 protections, you gain the same. If they lose 1 protection, well sux for you, you gain the same. This also means you can turn that super annoying super tanky Hercules into a squishy little baby. Hit him with this and have a bit of pen yourself, and he will melt as fast as that annoying Zues in the backfield. The movement aspect is much like your passive though. It DOES NOT steal. They lose 25% of theirs and you gain 25% of yours. You wont become faster by using this on a sped up Chronos or slower by using it on a slow as hell Ymir. The final note is, much like Geb's ultimate, your 50% hit is prone to protection reduction. This means if they had 200HP and 50 physical protections, and you hit them with this at level 5, they will take 50% of their HP (100 damage) which is then reduced by their protections. (50 protections) They take 50 damage. All that taken into account, this ability will give you the most protections but do the least damage against tanks, but on the flip side, give you less protections and do more damage on a squishy. As such, in my assassin build, I try and use it on my squishy targets. In my bruiser build, I try and use it on a tank during a teamfight. It is a very flexible ultimate. So if you have read my Chronos Guide, you will understand the basics of leveling abilities. Basically, you usually want to start with the ability with the most CC and/or damage first. Nemesis is no different. Her Slice and Dice is both and that is the first point you want. Next you want survivability for the early game, so grabbing Retribution second is good. And last but not least, that movement from Swift Vengeance Now in arena and 3v3, you can grab all three and I suggest doing so. Now as the damage on Nemesis's ulti, Divine Judgement, scales, I highly suggest leveling that every time you can. As for leveling priority, the first to max is usually that with the most damage and lowest cooldown. For Nemesis, thats easy. Again it is Slice and Dice so put all them points in their first. Next I prefer Retribution over Swift Vengeance because I mainly use my dash of movement not damage. The increase in scaling on Retribution is incredibly useful though. Of course last but not least fill in your dash,and as I said, put a point in Divine Judgement every time you can. NOTE: In my Conquest Solo build, I change one crucial thing. At level 8, I do not spend a point. Now normally I would put a point into Retribution because it wont let me max Slice and Dice. But I save the point till level 9 and level Divine Judgement and Slice and Dice together. This is simply to max my lane clear as soon as possible. Nemesis has very sub-par clear and this is the best way I have found to counter that. The extra clear is much more useful then 5% on my shield. Sustain from shield is much more useful later on. 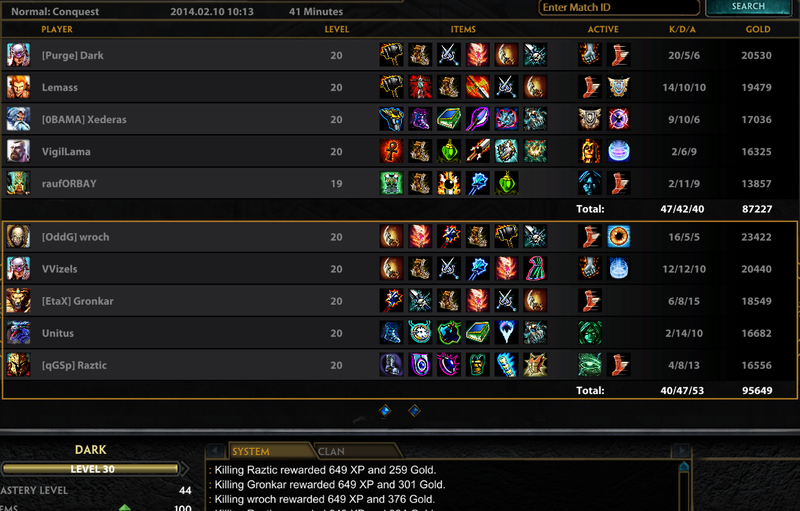 Now overall, how you play Nemesis changes drastically depending on the build you choose. That being said, Ill split each phase into two parts. Assassin and Bruiser. Basic Theorycrafting for 2/19 Nerf: For Assassin Nemesis, AA damage will now be even more crucial. Your objective remains the same, burst down the enemy before they can react. In that respect, nothing has really changed. Her damage remains the same, but your chase potential has been reduced a good chunk. It is now essential you kill them before they really start to run. Now seeing as Sprint was a pretty hard counter to her already, if youve had to deal with countering that a lot, this nerf shouldnt hurt too much. This essentially makes Sprint a core item to gain back some of the chase lost. I dont think it will hurt too much, but we shall see. As for Bruiser? I dont think it will hurt much. Her slow will now be 6-7 sec CD, which makes her a bit less annoying, but still annoying none the less. Protection steal is still 50% on ulti, which is good. Also, her passive will help more in bruiser build. Your lack of power now doesnt matter when you are hitting strong characters. Now most gods in general are pretty squishy early on. Whether arena or 3v3, early on you are going to want to be pretty passive and wait for a chance to attack with your team or hit a low HP target. Look for a chance to kill, otherwise sit back and enjoy the farm. On the flip side, here you are still going to be pretty passive, but it is not about hunting for a kill. Keep an eye on your teammates and try to counter-initiate. If one begins to get jumped, try and throw out a slow and get in the way. Now as it is still early, you still arent that tanky, so be careful. Just spam your abilities at anyone who gets close to your team and only go in if your team is going in. Now is where the fun starts to build. You are starting to swing mighty strong and you should be looking for those out of position or the weakest in the teamfights. Try and stay away from the tanks as much as possible, but get them kills! Initiate with Divine Judgement on a squishy target, if you can save your dash, save it. Hit them with your Slice and Dice and bask in the glory of basic attacks as they are 75% slowed and you are 50% faster. Gods will melt and your wrath only grows. You should be getting pretty hard to kill now. Get in the way. If someone tries to move in, slow them. You should be spamming your Slice and Dice at anyone that gets close. When a fight breaks out, try and get in front of any solid damager. Dont be afraid to dash to the back line to start causing some chaos. Dont stop spamming your slows and when those big fights break out, try and pop your Divine Judgement on their tankiest god andthen keep hitting those damagers with slows. You especially want to get in the way of any really hard hitting melee assassins like Loki or Kali. Just try and cause as much chaos as possible and be a huge nuisance. You will now be melting people instantly. I sure hope you have blink. Try sneak around the major fights. Blink back to any outsiders trying to chill in the back. Then BLOW EVERYTHING. Divine Judgement followed by Slice and Dice. Pop your shield if they have good burst or are a solid melee fighter, then hack their life away. They will probably die in 2-4 hits and you can double-dash your *** right out of there. Get a kill and haul ***. Do this as much as possible. If they seem like they are gonna get away, you can try and dash through them, as that will hurt a lot too, but I find it best to save that for an escape. The best time to use it offensively is when the enemy is disengaging and running under tower. Finish them by dashing through them under the tower, then spin around and dash through them again right back out of tower. Now you should have a solid defense and shouldnt be too afraid to GET IN THERE. Dont be afraid to initiate. If anyone even thinks about getting out of position, Divine Judgement their *** and stay on them. Spam Slice and Dice every second it is up and hit absolutely everyone you can. Your passive will be a pain in the *** now that everyone is at top power. Swing at everyone you can and spread that passive to all those really powerful targets. Keep an eye on your health bar and dont stop moving, dashing, and slashing. Be the most annoying thing any of them have ever seen. Keep everyone slow and weak and your team will come out on top. As of right now, I feel Nemesis is best suited on either Jungle or Support. While solo is possible, it is very challenging, as your main form of clear, Slice and Dice, can't hit melee and archer minions with the double damage section. 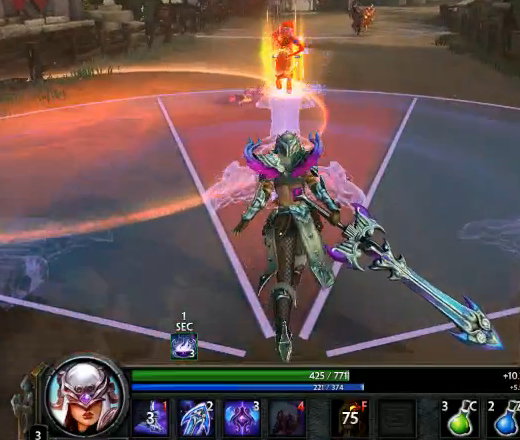 Her wave clear is sub-par and will require much more skill and strategy compared to some of the major Solo laners. While possible, be warned. It is far from easy. That being said, I will break this section into 3 parts. 1 for each role. Feel free to skip to which section you wish to play. They are currently being worked on and should be up in a couple days. Im almost done with the jungle guide and support will be after. I dont solo much with her for reasons mentioned above. 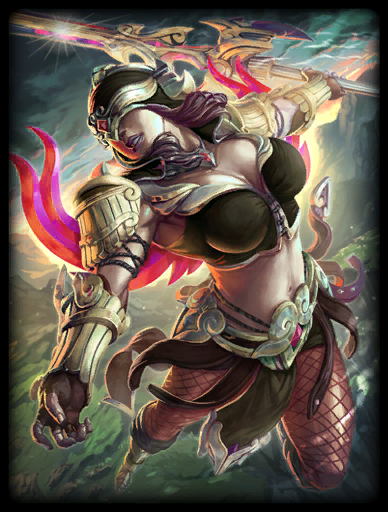 Nemesis thus far has been a blast to play and one of the most flexible gods yet.Im confident when my knowledge of her grows, Ill be able to jungle, solo, or even support with her. She reminds me a lot of Guan Yu and can fit pretty much anywhere she is needed. Dont take this guide as solid concrete. She is still a brand new goddess and I encourage you to explore her many possibility's. These are builds and playstyles that I have found most effective and I hope they help you as much as they have helped me. I more then welcome anyone else to comment on their success and builds and I will continue to update this guide with any input I find useful to her. Overall, if you havent tried her, I think these builds are solid and suggest you get out there and blast some people yourself. No matter how you look at it, she is a lot of fun to play. Thank you everyone for the support and upvotes, and I will continue to update and master this guide as much as possible. This is simply some proof for people who want to see the build with K/D/A numbers behind it. This happens pretty consistently. In 3v3 not as high. Usually around 10-15 kills. This is post-nerf as well. 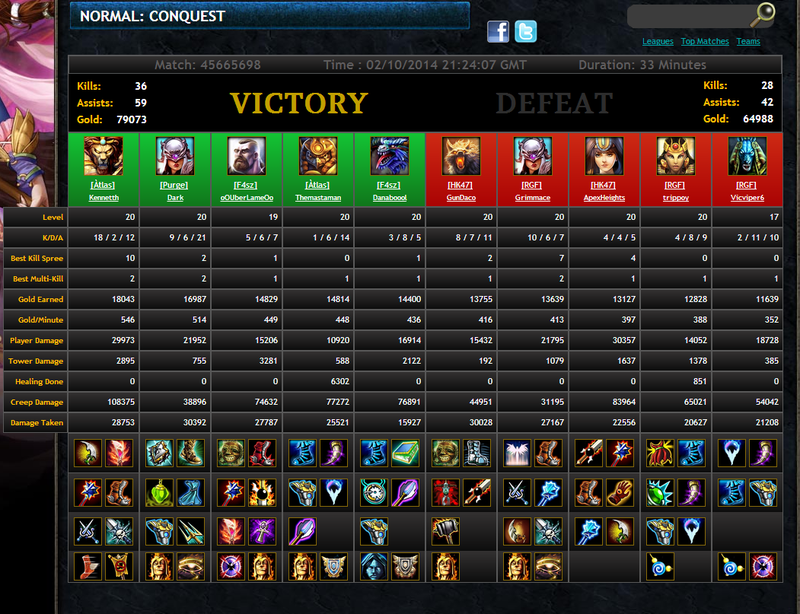 This was Conquest Jungle. If you look, we had a level 19 auto-buy Chaac feeder... Dont ask me how he got in a level 30 game... Needless to say, I had to put my tryhard pantys on for this one. 2 Nerfs, later still going strong. This was my first game with her after her latest nerf. I think my build worked out better then the enemy Nemesis... They may have nerfed some scaling, but her AA's still hit like trucks. As a side note: I grabbed Hydra's last item simply becauseit gives me top phys power and helps max my CDR while helping my passive hurt that much more. I was having zero problems tanking the enemy team and figured, yolo. If you enjoyed this guide, feel free to check out my Chronos guide as well. I put as much passion into that one as this one. I like to give credit where credit is due. This being my second guide, I myself, have watched it grow incredibly from where it first started. If people like it, I will try to make more with just as much passion and some newly honed skills. Who is the creator of this epic border. As well as making this awesome guide to a guide which has made my own guide as pretty as it is. Whos Ymir Guide, I took the time to look through and gained a lot of inspiration from in building my own guide. 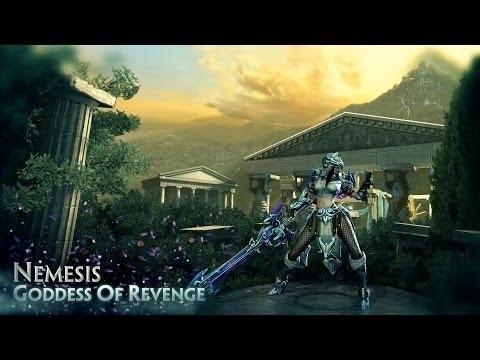 These are Nemesis changes and updates directly from HiRez. All being Nerfs so far. Not really surprised. 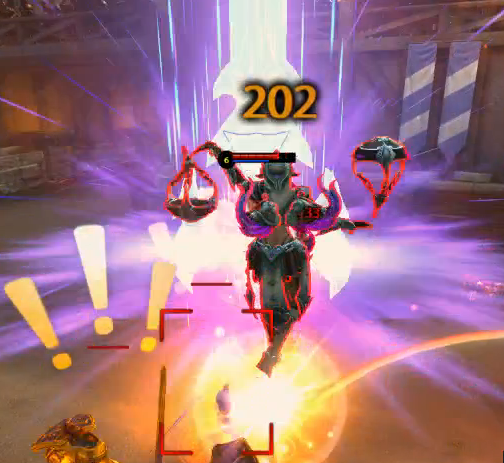 Nemesis Retribution Fixed an issue in which Retribution would not go properly into cooldown if Aegis was used during the ability. Modified the tooltip to properly reflect that NPC damage reflects and heals at 100% of damage received (at all levels). As for Bruiser? I dont think it will hurt much. Her slow will now be 5-6 sec CD, which makes her a bit less annoying, but still annoying none the less. Protection steal is still 50% on ulti, which is good. Also, her passive will help more in bruiser build. Your lack of power now doesnt matter when you are hitting strong characters. We are now close to the end of march and no more changes. Im assuming they find her quite balanced now. Theorycrafting: SO first off, I dont agree with the Slice and Dice nerf. It was already dropped to a scaling slow and from 7s to 10s. Now to 13s. It isnt THAT HUGELY POWERFUL. But I digress... They are now really limiting how well she can play as a Bruiser and forcing her to be played Assassin. An assassin blows all her abilities in one go to get a kill. This nerf effects that ability in NO WAY!!! Her assassin style will still work just fine. And as for her ulti lasting 2 seconds less? If you are taking 10 seconds to assassinate a target, well you messed up a long time ago. This AGAIN LIMITS HER BRUISER POTENTIAL. The main way to use her as a bruiser is to stay in their faces and spam abilities to keep them slowed and annoyed without a **** ton of kill potential but plenty of survivability. Ulti on a tank and pop shield at the right times and you were a wicked bruiser who wont leave someones face. They are making that very difficult to do right now. Now they are apparently going to change up her shield. This may very well force her more into the bruiser role as right now it serves as diving in and having a back up escape or completely countering an ADC or burst mage. With the future change, it may be much more valid to build her tankier to make up for the loss of such a huge survival factor. I suppose only time will tell. Yeah, this is the only good Nemesis guide. 117020 Papa Murmz Yeah, this is the only good [[Nemesis]] guide. For everyone interested, should I update this guide after 2 years? I didnt play smite much at all for season 3, but if people are interested in a Nemesis guide, I might have to flesh this out again. 116405 darks352 For everyone interested, should I update this guide after 2 years? I didnt play smite much at all for season 3, but if people are interested in a Nemesis guide, I might have to flesh this out again. If you're comfortable with the Season 4 environment and items for Nem, I absolutely say to update your guide. Would never say not to! 116409 Branmuffin17 If you're comfortable with the Season 4 environment and items for Nem, I absolutely say to update your guide. Would never say not to! Are you going to update this for season 3? I think nemesis' items changed a lot with stone cutting sword and the new runeforged. 103444 AlexTheEvilGuy Are you going to update this for season 3? I think nemesis' items changed a lot with stone cutting sword and the new runeforged. Rented Nemesis yesterday and decided to try her... at first I thought she would be hard to learn and also very squishy, but after one-two matches, using your guide, I did very well! Also, it made me really like her. She may not be the most OP assassin out there, but she's definitely dangerous if you know how to play her. Is this guide still being updated..? I'm guessing not. Almost 2-years later, but you can still bruise w/ her. Just can't be trigger happy with Retribution, and use items to cater around it. If you build her w/ a Kuzenbo type build, it's so funny and fun! 119991 Papa Murmz Almost 2-years later, but you can still bruise w/ her. Just can't be trigger happy with [[Retribution]], and use items to cater around it. If you build her w/ a [[Kuzenbo]] type build, it's so funny and fun! Xeltos was last seen in September 21, 2015. I guess he'll never see your answer. 120004 Bernardozomer Xeltos was last seen in September 21, 2015. I guess he'll never see your answer. Yes, Rage is based on a random modifier, While Qin's Sais will make you shred tanks faster and will always do it. Also, The creator of this guide is not on sf for a while now. I saw someone using this build in a match just a bit ago. It was 4 nemesis in "Siege and Desist". By coincidence I was also nemesis so I copied the build. However, I went into jungle practice and found only one thing I would change. Quin's Sais only gives 15% speed now so I found that Rage did better DPS because of the crits. Any comment? Also, The creator of this guy is not on sf for a while now. 96185 DucksRock [quote=Scarz99] I saw someone using this build in a match just a bit ago. It was 4 nemesis in "Siege and Desist". By coincidence I was also nemesis so I copied the build. However, I went into jungle practice and found only one thing I would change. Quin's Sais only gives 15% speed now so I found that Rage did better DPS because of the crits. Any comment? [/quote] Yes, [[Rage]] is based on a random modifier, While [[qin's sais]] will make you shred tanks faster and will always do it. Also, The creator of this guy is not on sf for a while now. 96184 Scarz99 I saw someone using this build in a match just a bit ago. It was 4 nemesis in "Siege and Desist". By coincidence I was also nemesis so I copied the build. However, I went into jungle practice and found only one thing I would change. Quin's Sais only gives 15% speed now so I found that Rage did better DPS because of the crits. Any comment?